The Nedo Extra Heavy-Duty Elevating Tripod is a functional and durable mounting tool designed for use with rotating lasers and 3D laser scanners. It features tough anodized aluminum extension legs with double telescope to provide wide working height range of 33 inches up to 119 inches. 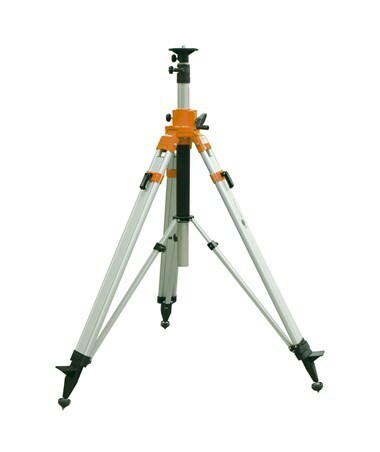 Equipped with sturdy leg struts and brass hinge pins, it offers superior stability and accommodates heavy instruments. This elevating tripod by Nedo allows precise fine height adjustment up to 23 inches with its elevating center column that is printed with inch and millimeter scale. With a built-in circular bubble level, it enables accurate aligning and positioning with less effort. Its combi feet with steel points for uneven outdoor grounds and screw-in rubber balls for slippery indoor surfaces permit all-terrain use and maintain solid support at all times. 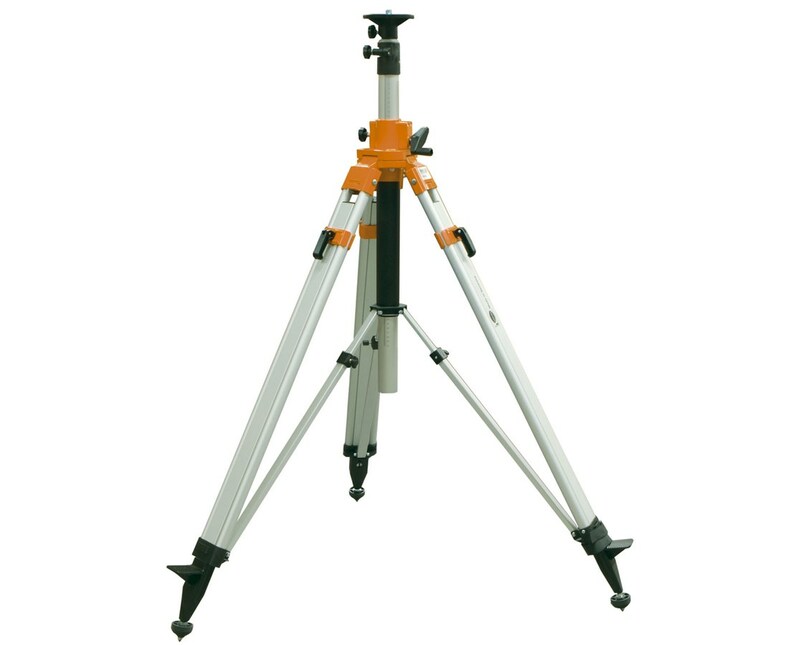 The Nedo Extra Heavy-Duty Elevating Tripod mounts most equipment through its powder-coated aluminum head with 5/8-11 threading and 4.3-inch diameter plate. It comes with break-proof quick-release levers that easily and securely fasten the legs to ensure fast, steady set-up. For convenient storing and transporting from one jobsite to another, it can be retracted up to 52 inches. It also includes a one-year manufacturer’s warranty.